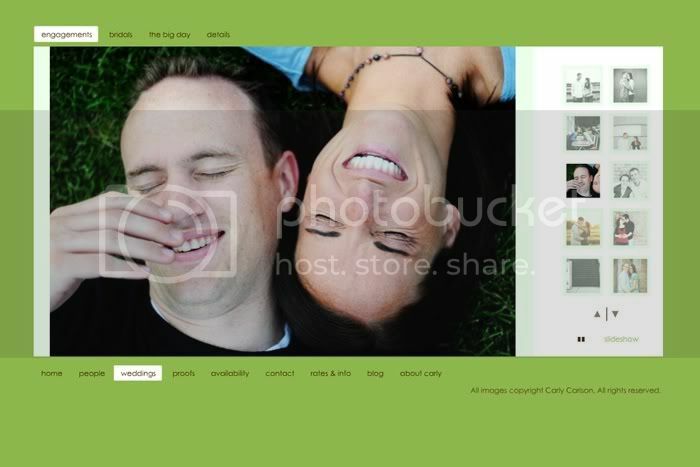 Carly Carlson Photography | BLOG | Baker City Eastern Oregon Senior & Wedding Photographer: Website updated! 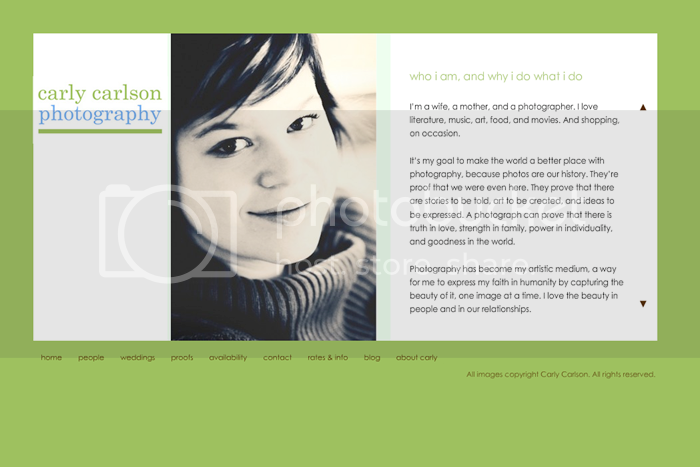 Getting geared up for 2009, Carlycarlson.com has gotten a bit of a facelift. There will be even more improvements coming with the New Year, so stay tuned! And lastly, and leastly (I'm aware that is not a word...), an "about me" page, where you can hear me drone on and on about myself. and don't forget to book your 2009 session! Cute Carly! I love it. And the green is so you. love this, so professional, and love the look and colors....just lovely! 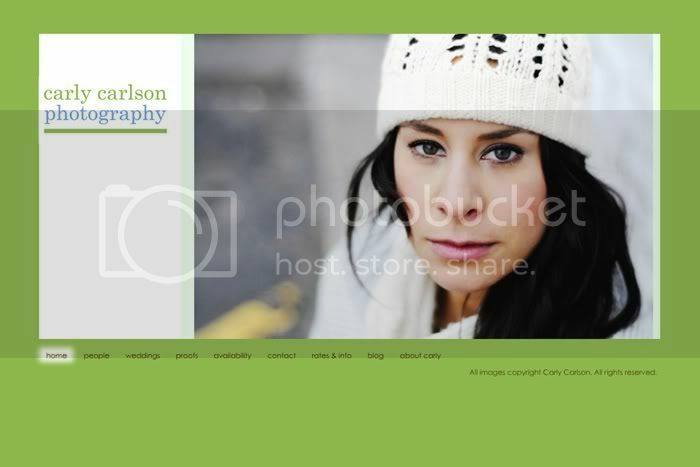 Oh Carly, I love the new website :) especially your new branding colors, totally hot :) Keep up the rockin work and next time you are in Utah, shoot me an email and we'll have to try to shoot together. It looks great!! Love the new site. Very clean.